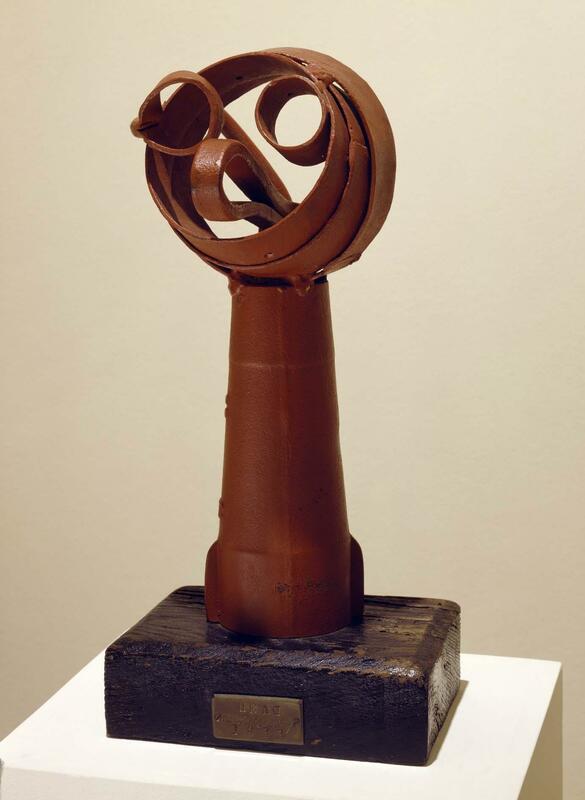 Appreciation of Julio González’s work in the United States began in the early 1930s among sculptor David Smith’s circle, when he came across Picasso and González’s iron sculpture through magazines like Cahiers d’art, and friends who lived in Paris like John Graham, owner of three González pieces, and the painter Jean Xceron, member of the groups Cercle et Carré and Abstraction-Création. David Smith, an accomplished welder due to his work in 1925 at the Studebaker factory in Indiana, used an ironworks in Brooklyn to create a number of sculptures in welded steel, shown in 1934 at the Julien Levy Gallery. One of them was probably this Agricola Head, a work with which Smith began his process of metal sculpture that would lead to the renovation of the art-form in the United States during the 1950s and early 1960s. Agricola Head, in painted steel, owed a great deal in terms of concept and execution to González pieces such as Tête dite “le tunnel”, circa 1932-1933, as well as presenting something new: interest in the colour and solidity of the steel that the American artist’s work represented, in contrast to the fragility that characterised the work of the Spanish artist, who has to be considered the former’s “master”. David Smith by David Smith / David Smith. Smith, David ( 1906-1965)New York : Holt, Rinehart and Winston, 1968.